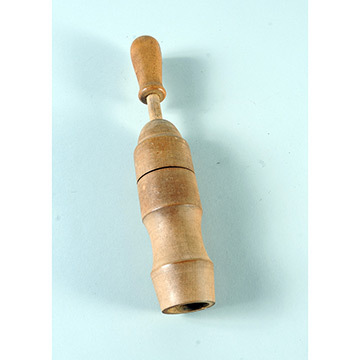 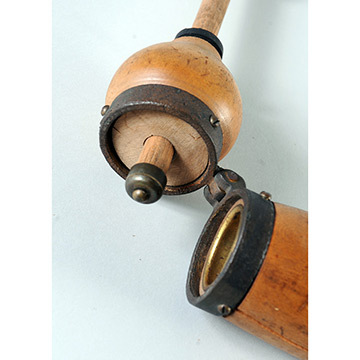 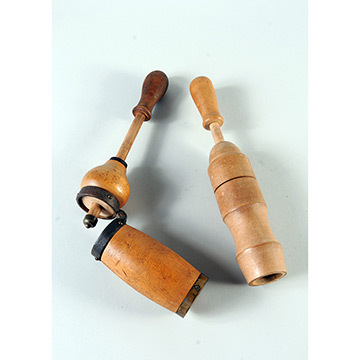 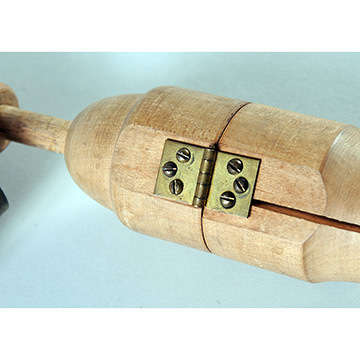 This hinged tool holds a sliding plunger rod in its top half and accepts a cork in its base. 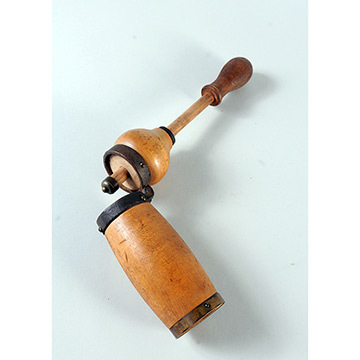 The base of the wooden cylinder is shaped to fit around the neck of a bottle, and its interior tapers from top to bottom. This tapered end compresses the cork, which the metal-tipped plunger forces into a bottle.